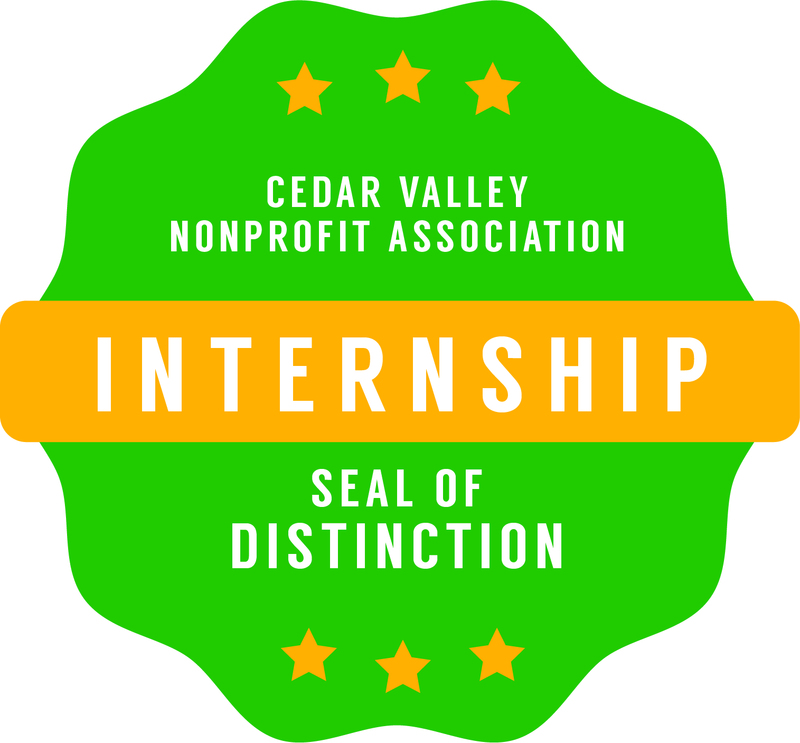 The Cedar Valley Nonprofit Association recognizes that not all internship programs are created equally. As such, the CVNA has created a Seal of Distinction for exceptional internship programs. This recognition is designed to give more visibility to your organization and your internship opportunities to students seeking an internship. This program is implemented partnership with the University of Northern Iowa’s Nonprofit Leadership Alliance program. Use of the CVNA’s Seal of Distinction on your internship materials, websites, etc. Commitment to provide networking opportunities for the intern such as attend CVNA meetings, BOD meetings, etc. If you meet the eligibility requirements above, please click here to complete the application to have your nonprofit’s internship program considered for this distinction. Please click here to fill out an application to be considered for the Grant Internship program.